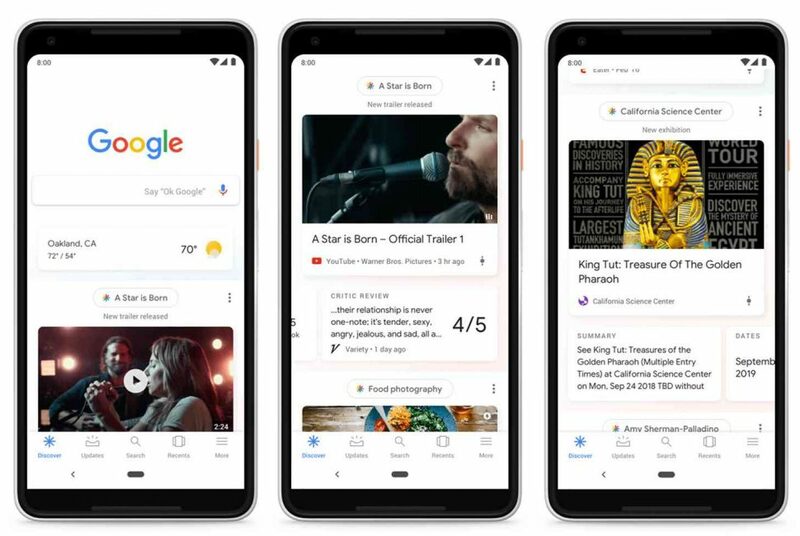 Google Discover, previously known as the Google Feed (the “smart feed that changes with you”), has for some time been an overlooked driver of impressions and clicks for web content. The content feed, originally introduced in December 2016, is topic-driven and personalized based on search history and the Knowledge Graph’s Topic Layer. It’s built into the user interface of Google’s Pixel phones, and is now a core part of the Google app and mobile web experience. 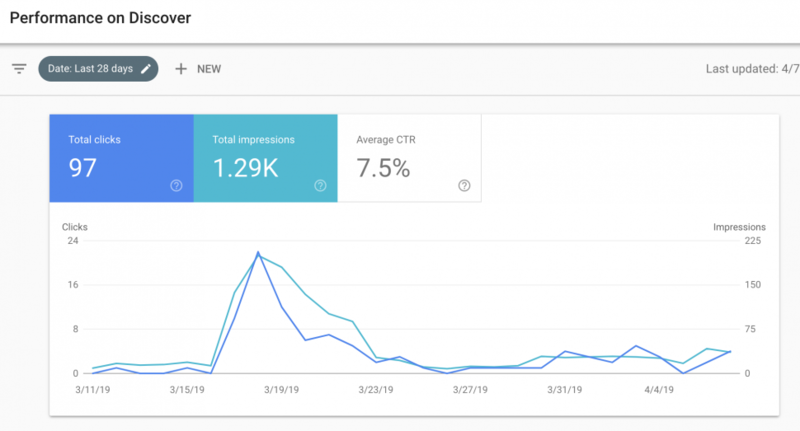 Sites that have meaningful visibility in Google Discover will see the report under an expanded “Performance” section in the Search Console navigation. One of our clients saw nearly 700 clicks and over 10k impressions in Discover in a single day. As we get more data in and can track performance against optimization, it will be interesting to see what kind of tactics could increase the likelihood of Discover pulling older evergreen content into this rotation. 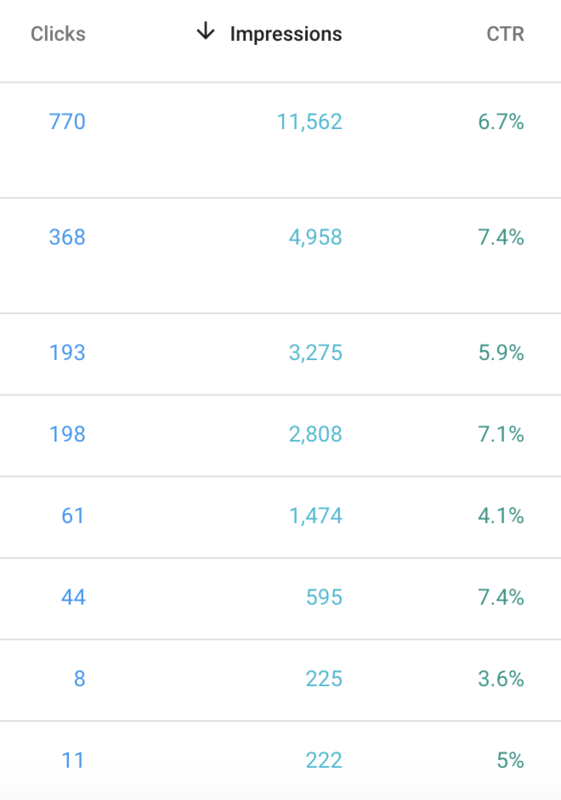 It’s a bit of a small sample size, but across the handful of GSC properties with Discover performance, we’re seeing an average CTR hovering between 7-15%, much higher than we see in traditional search. This signals high user engagement within Discover, and provides an interesting lens into 1) the efficacy of Google’s personalization (delivering right content to the right person at the right time = higher CTR) and 2) the nature of user behavior in the absence of traditional “search intent”. There’s certainly lower stakes and less commitment in a “content browsing” experience compared to a search engine results page, where users have specific tasks they’re attempting to accomplish in a quick, frictionless manner. Put in another way: traditional search users are trying to save time; Discover users are killing time. There’s just less “risk” to clicking through in this paradigm. As far as I know, this is the first time marketers have the ability to see click-through rates for content outside of the increased noise/complexity of search queries. Traditional search CTR is always in the context of a query or group of queries, and is heavily influenced by the presence of advertisements, universal search features, and competing (often derivative) results. In this paradigm, CTR is more reflective of the search environment of a given query than the performance of the page title or content itself. Here we have a handful of articles, and some interesting high and low outliers in CTR. Over time, we can analyze these outliers to understand what elements in article titles or images appear to compel (or repel) users to click through. Discover impressions come from a highly engaged audience that has indicated (primarily through their personal search history) a preference for the topics you are writing about. Tracking Discover visibility and CTRs over time gives us a very useful lens on how well are content resonates with its target readers. Discover can also be seen as a high-funnel brand awareness play. If you routinely show up in a reader’s feed over time, your brand is gaining trust and authority within a particular topic –and this is incredibly valuable when considering 1) the need for strong brand recall as that reader moves down funnel over time and 2) how Google’s search algorithms have their ears to the ground on topical depth. Hey, we’re always happy when we have more data to work with — but in some subtle ways this Discover report could be a game-changer on our ability to understand content quality and brand amplification. If used thoughtfully (and for the right businesses), Discover performance data could be a compelling new KPI to track over time. Are you seeing this new Discover report? Let us know your experience in the comments below! And if you’d like some help leveraging the insights from Google’s new report, or any other performance metrics, to inform and drive your digital strategy, reach out! We’re always happy to help. Scott Merilatt is the Director of Digital Strategy at Wheelhouse DMG. For the record: he loves walking, writing, baseball, classical music, British comedy, and literature of the scientific fiction variety.